Hamelin Bay, Western Australia. John Huisman. © John Huisman (j.huisman@murdoch.edu.au). 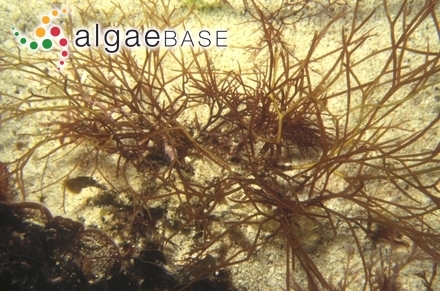 Type locality: Western Australia (Silva, Basson & Moe 1996: 336). Holotype: Preiss ; MEL 44488 (Womersley 1994: 345). Notes: According to Womersley (1994: 345) the type is from “occid. Nov. Holl.” Preiss 2557 (Lipkin & Silva 2002). A subtropical species with only sporadic occurrences on southern Australian coasts (Womersley 1994: 345). Accesses: This record has been accessed by users 8325 times since it was created. Ampili, P., Panikkar, M.V.N. & Chauhan, V.D. (1987). Male organs of Sarconema filiforme (Sonder) Kylin (Rhodophyta). Japanese Journal of Phycology 35: 218-220, 11 figs. Mshigeni, K.E. (1976). 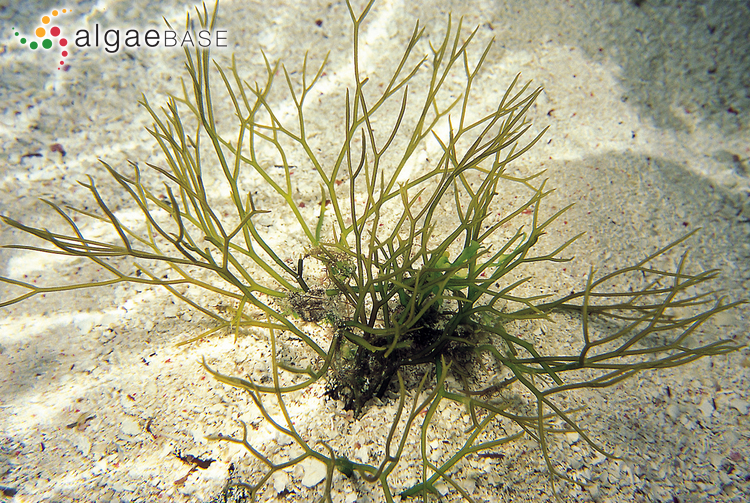 Contributions in the developmental biology of Tanzanian Rhodophyta. I. Spore germination in Sarcodia montagneana J. Agardh. II. Spore germination in Tylotus proliferus (Harv.) Kylin. Spore germination in Sarconema filiforme (Sonder) Kylin. Nova Hedwigia 28: 649-655, 656-660, 661-665. Mshigeni, K.E. (1977f). Contributions on the developmental biology of Tanzanian Rhodophyta. III. Spore germination in Sarconema filiforme (Sonder) Kylin. Nova Hedwigia 28: 661-665, 3 figs.